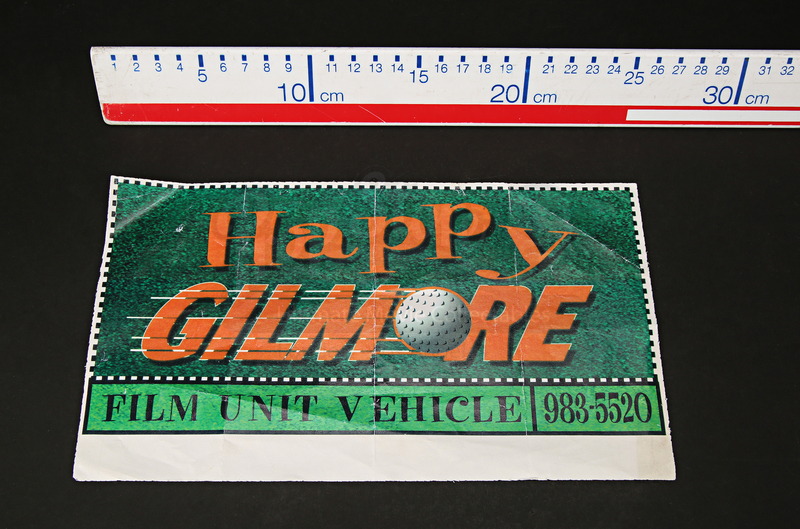 A crew car pass used on the set of Dennis Dugan’s comedy film Happy Gilmore. 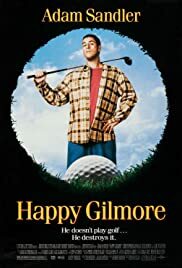 Failed hockey player Happy Gilmore (Adam Sandler) discovers he has a hidden talent at playing golf. 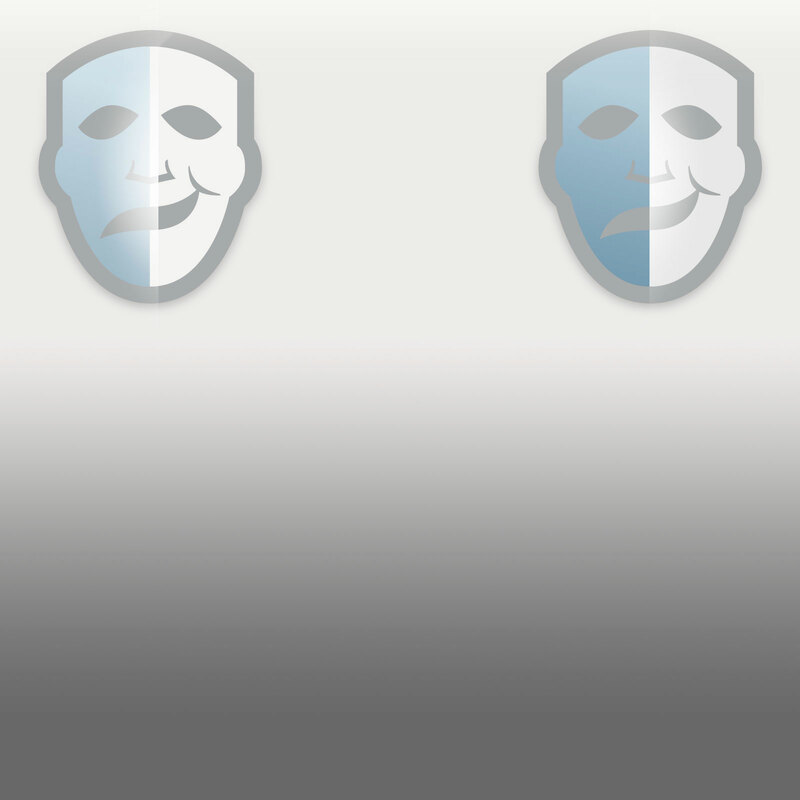 He soon finds himself in the P.G.A. tournament in the hopes of winning a big amount of money to save his grandma’s (Frances Bay) house. 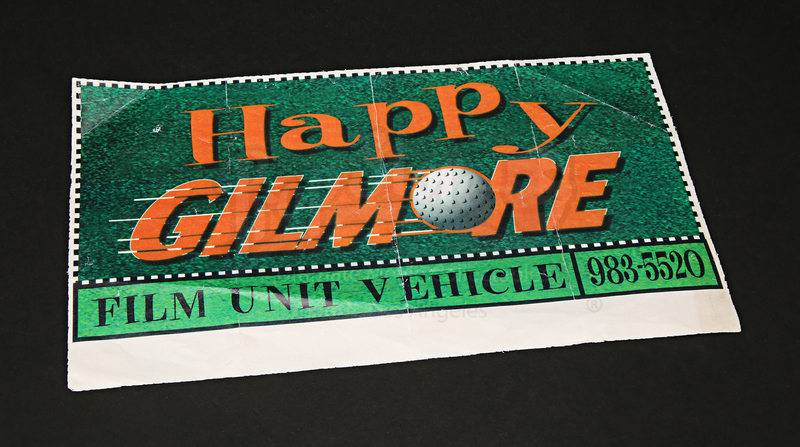 The pass is made from paper with a textured grass-like background and an orange “Happy Gilmore” logo decorated with a golf ball. 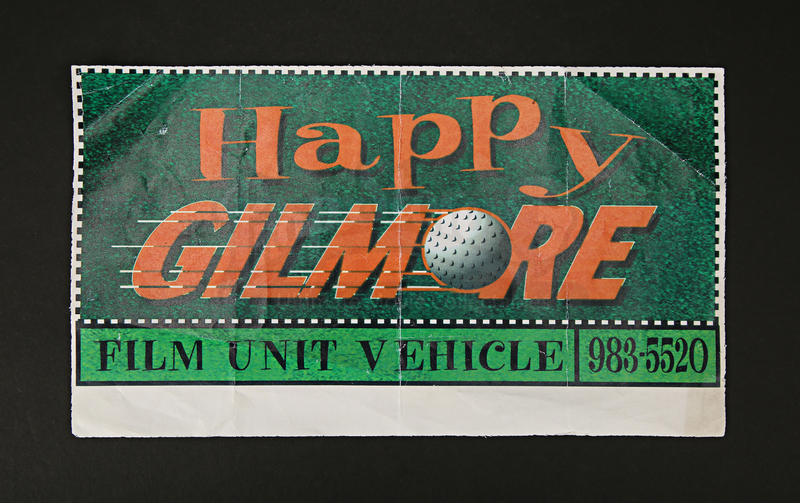 Black text reading “Film Unit Vehicle” runs along the bottom with the numbers “983-5520” printed next to it. 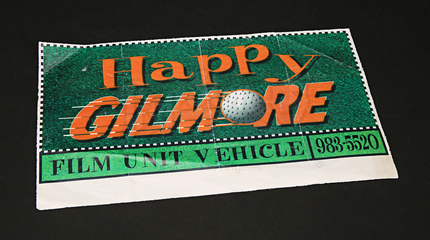 The car pass displays crease lines from storage. 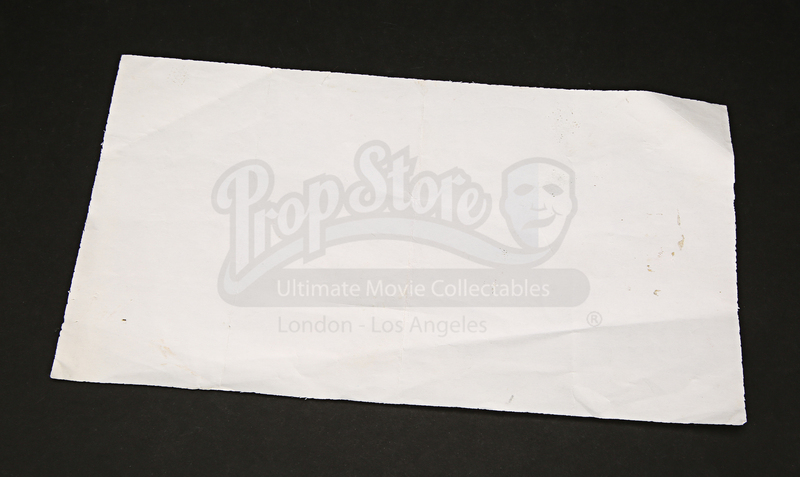 However, despite this wear, it remains in overall good condition.